Interested in discovering how to learn Korean, but don’t know where to start? 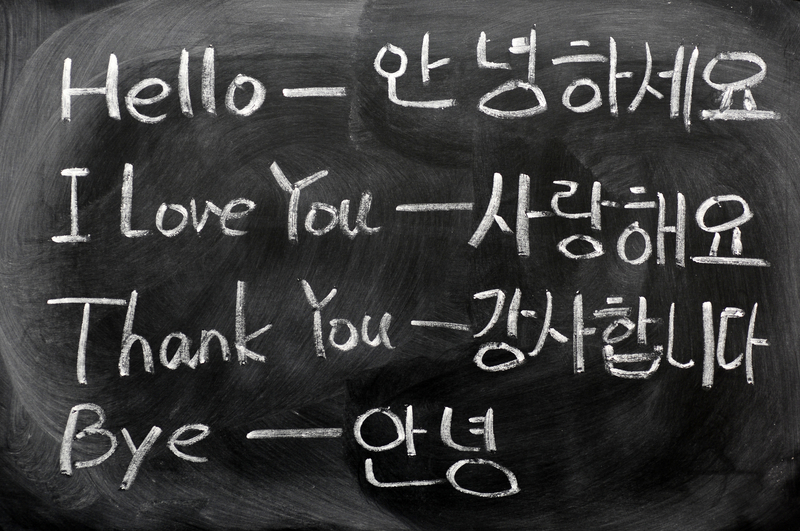 Korean is a fascinating language, and a great step to learning more about Korean culture. Whether you are planning on visiting South Korea, or just want to learn a unique language, learning Korean online is a great place to start. Chances are, there are far less Korean native speakers in your area than there are more common languages like French, Spanish or Mandarin. Online courses, therefore, are the easiest way to learn in an interactive, flexible and step-by-step methodology. Here are the top seven classes for learning Korean online. But first, why choose Korean? There are numerous reasons to choose courses in Korean, and not just to understand K-pop or Korean dramas. Learning a new language is the first step to understanding a new culture. Korean culture is very rich, with a history far older than you might realize. The language includes honorifics, which are names and titles used to show respect and honor towards different individuals. These are very important concepts in Korea, and learning the words is a great way to begin to understand personal relationships. Korean also has a number of characteristics that make it an easy language to learn. The alphabet, or Hangeul, is very straightforward. People can learn this new alphabet in as little as one hour. Grammar, pronunciation and verb forms are all also much more streamlined than English. Although English seems simple for a native speaker, it has as many exceptions to its grammar rules as it has rules. The Korean language follows its rules very strictly, which is a huge bonus for a second language learner. In order to better rank these courses, each one will receive a number of stars out of 5 total. Each class offers its own strengths and weaknesses, so be sure to check out each course in order to find the best class for your needs. The courses all offer beginner level content, so any of them would be a great starting point. If you already have some experience with Korean, you have the option of moving straight into more advanced lessons. The rating given relies on a number of factors, including comprehensive training, affordable lessons, flexible scheduling, high student ratings and interactive assignments and lectures. 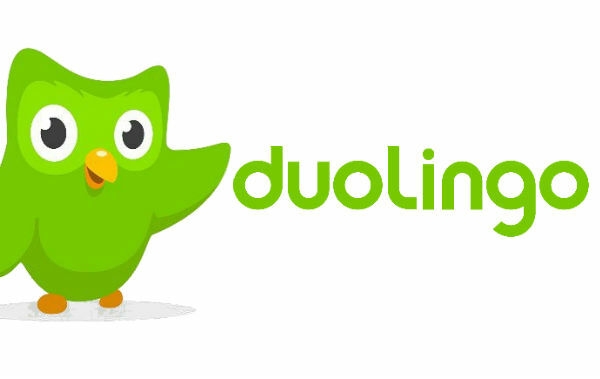 An addictingly fun way to learn almost any new language, Duolingo is an excellent choice for someone who is struggling to find time to commit to learning a new language. You can use the app or website to complete short, game-like lessons that are designed to make the most out of your spare 5 or 10 minutes. Duolingo’s curriculum is well-organized into different categories. It begins with zero experience and ends with an expansive vocabulary. It includes writing, speaking and listening exercises. The learning platform contains rewards for various learning milestones, and also allows you to connect and share with your friends. Social networks are a great way to stay accountable when learning a new language, and Duolingo makes it easy to inform your friends and family of your progress. This free app has some voice recognition software, but it otherwise does not have any interactive features. Because of this, it is very difficult to practice your pronunciation. It focuses on vocabulary provides a good foundation, but forces you to invest a lot of time before you can confidently use more practical conversational questions and answers. Because of this, Duolingo receives 4.0 out of 5.0 stars. 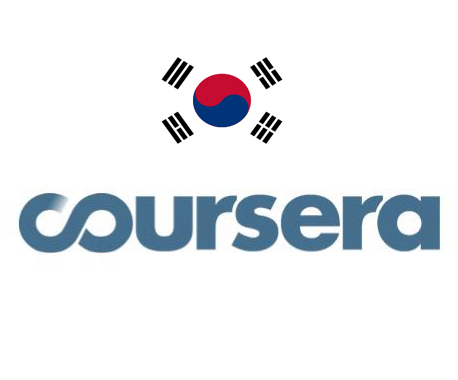 If you want a course that is designed for more serious and committed learning, try Coursera’s First Step Korean. Seung Hae Kang, an associate professor at Yonsei University, teaches this fundamental course in Korean. Beginning with no previous experience, the video lectures teach you how to read and write the Korean alphabet, understand more about Korean culture and say some simple phrases. This course is designed for 5 weeks of study, with only 1-3 hours each week. It is a free course, but you must pay in order to submit assignments for grading and to receive a certificate of completion. Financial aid is available for purchasing the course. The pre-recorded lectures are engaging, well-paced and taught by a friendly and competent instructor. This course has a much more formal structure, but also lacks any conversational training or interactive elements with the instructor. It receives 4 out of 5 stars. As the name implies, this company promises to teach you the in’s and out’s of Korean in just 90 days. This course provides a free lesson to start, and uses weekly lessons that are emailed to you. You can also ask questions through email, and the course offers tests and proofreading to help track your progress and assist with trouble spots. It is a comprehensive course that takes you through all of the basics, as well as important phrases that you will need to begin having conversations in Korean. After the free trial lesson, this course costs $47 per month. If you are looking for a flexible, engaging and well-rounded online course, 90 Day Korean is a great option. It does not, however, include any live conversations with tutors or teachers. It earns 4.5 out of 5 stars. This highly structured course is divided into nine lessons and offers a broad understanding of Korean. It is also divided into three broad categories: online lessons, e-books and textbooks. The online lessons feature free videos that are interesting and easy to follow. They are also available for download. These lessons can take you from no knowledge of Korean to a well-versed conversationalist. Many of the e-books are also free and can fill in the gaps that the videos might have missed. They usually have a very focused topic, such as colors or beginner’s conversation tips. Talk to Me in Korean also sells both textbooks and more comprehensive e-books. If you are serious about learning Korean, these are great resources to help you succeed. The entire curriculum is very broad and easy to follow; however, it does not offer any interactive assignments, quizzes or certifications. The material is not only self-paced, but largely self-taught. This can be a challenge for someone who needs due dates in order to accomplish his or her goals. It also makes it very difficult to practice your pronunciation. Because of this, Talk to Me in Korean receives 4.5 out of 5 stars. 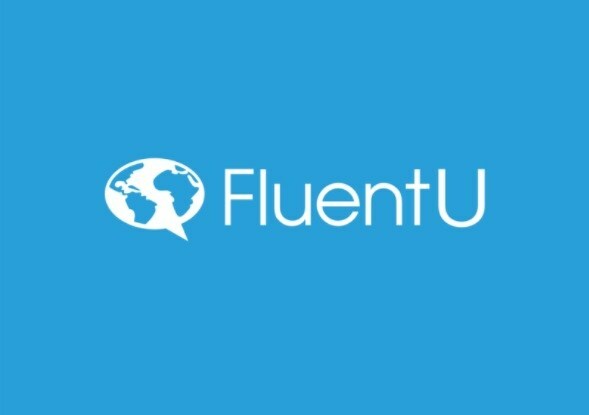 A unique and entertaining way to learn, FluentU offers videos created by native Korean speakers. The videos are about a variety of real-world topics and feel very authentic. FluentU trades the stuffy, out-of-date feel of a classroom lecture for a vibrant, real-time look at Korean culture. Each video has an interactive subtitle feature, where you can quickly pause the videos and find the definitions of each word. This subscription-based course also includes a mobile app. There is a basic and plus package. The basic package costs either $10 per month if you pay for a year’s subscription, or $15 per month if you pay monthly. The plus package includes all of the basic features, plus access to FluentU’s flashcards, quizzes and an algorithm that identifies the words you have trouble with and gives you practice lessons for those target words. This package costs either $30 billed monthly, or $20 charged yearly. Both packages are a great value, and this unique online learning platform deserves 5 out of 5 stars. It’s a great option for anyone who is a visual learner or doesn’t have the patience for tedious exercises and quizzes. This paid online course is highly-rated, well-known and is very successful at teaching languages fluently. If you are serious about learning both written and spoken Korean, but need a more flexible schedule, Rosetta Stone is a great choice. 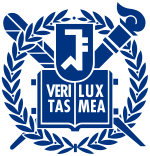 There is an incredible variety of resources available to help teach you Korean. First, the online lessons offer interactive, game-like assignments that help teach you words and phrases. Through listening, speaking and picture-matching exercises, you will begin to build your vocabulary immediately. After you successfully learn a few phrases, you can schedule a session with a live tutor. This virtual classrooms are designed to help you perfect your pronunciation, practice your grammar and get a chance to communicate with a native Korean speaker. The live sessions can be scheduled almost any time of the week. Each of the online lesson assignments are very flexible. You can learn through a mobile app as well, which allows you to practice whenever is most convenient for you. This service is relatively cheap, as well. 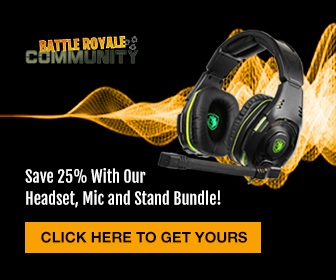 There are several different payment plans, ranging from $17.99 to $6.49 per month, depending on the length of contract you choose. This flexible and inexpensive online course earns 4.8 out of 5 stars. Now that you’ve found the top seven courses for learning Korean online, take a moment to think about the reasons you really want to learn Korean. What type of learner are you? Do you need an interactive environment, or are you comfortable learning in a more academic setting? How much money are you willing to spend on lessons, if any? Are you looking for conversational Korean, written Korean or both? It is important to answer these questions before discovering which course is the best fit for you. Some courses are entirely free, while others provide a more costly and comprehensive learning platform. If you are looking for a short-term course and are willing to spend a lot of time learning Korean, consider a monthly price. The extra minutes and hours you use will make this payment plan a bargain. Or, if you only have a few minutes each week to learn, consider either a free course or a course with a set payment for unlimited access. If you are looking to learn conversational Korean, you should choose a course with interactive features, particularly a class with a native speaker. These courses will provide you with the best chance of catching grammar and pronunciation mistakes. You may not always hear your own errors, so finding a native speaker to assist you will prove invaluable. On the other hand, if you are more interested in learning written Korean, consider a more classroom-based course. These courses, with their focus on the Korean alphabet and sentence structure, will not spend your valuable time learning pronunciation and conversational skills. The key to success in learning a new language is finding an environment that excites you and encourages you to complete your goal. Learning a new language is very challenging, and you will often be tempted to give up. Having a more interactive course, whether it is watching videos, playing games or speaking to a live person, will give you the motivation to learn Korean. Each of these courses provides some of the best resources available to learn Korean online. Now that you have found the top seven classes in Korean online, choose the one that gives you the best chance of success.